Discover dynamic design and luxury that makes every journey effortless and enjoyable. With its clean lines and striking silhouette, every inch of the Volvo V40 has been designed to help you turn heads. But this car's beauty is more than skin deep; Inside the V40 you are greeted with fine craftsmanship and materials along with a range of innovative technologies. Available in a range of high-performing engines; From the blisteringly powerful T5 turbo to the ultra-efficient D2, which emits just 89g/km of CO2, we have the perfect engine for you. 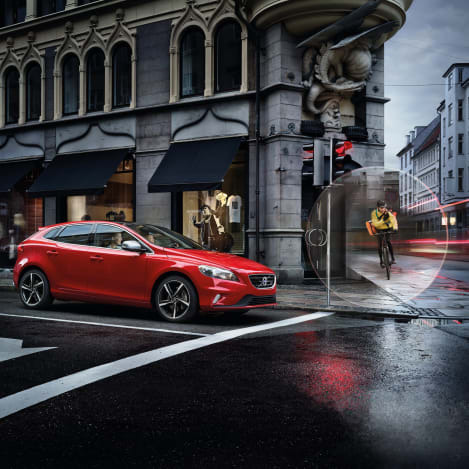 The V40 also features a range of class-leading safety systems including the world's first Pedestrian Airbag technology and City Safety as standard - which automatically brakes the car in an emergency at speeds of up to 31mph. Plus optional safety features include Adaptive Cruise Control with Full Auto Brake, which automatically adapts the cars speed to match the one in front. The V40 has been built to offer an agile drive. The athletic body holds an equally athletic chassis, powered by a range of responsive and efficient powertrains. You get responsive, on-demand power with low fuel consumption from our technically-advanced engines and because they are more compact, they allow more space for you and your passengers. This performance and efficiency comes as standard on every Volvo an our precise manual transmissions and six and eight speed automatic gearboxes make the most of each engine’s potential. The optional Sensus Connect turns the V40 into an internet-connected infotainment hub at the touch of a button. 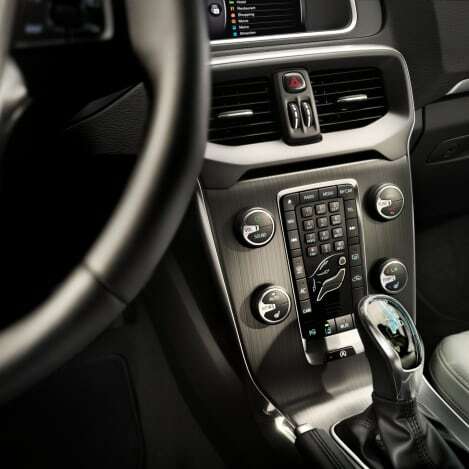 Voice control allows you to operate Sensus Connect without having to take your eyes off the road or your hands from the wheel. Call up music, find a radio station or have texts from your phone read to you as you drive. Connect your devices to the web using Volvo On Call which turns your Volvo into a wi-fi hotspot. Plus it allows you to control your car remotely so you can check your car is locked and even send destinations to the navigation system in advance. City Safety is designed to prevent you from colliding with the car in front if it stops, or slows suddenly. This advanced IntelliSafe system will automatically brake to avoid a collision and works at speeds of up to 31mph. Adaptive Cruise Control keeps your vehicle at a set speed and distance from the car in front and even acts as a second pair of eyes by warning you if it sees pedestrians or cyclists in the road ahead which are on a collision course. You can keep your eyes on the road and let the BLISTM System keep an eye on your surroundings. The radar keeps constant watch and alerts you if a vehicle enters your blind spot. The V40 Cross Country enhances the dynamic design and luxury of the V40 with body panels, bigger wheels, bigger tyres and increased height to equip it for exploration and adventure. 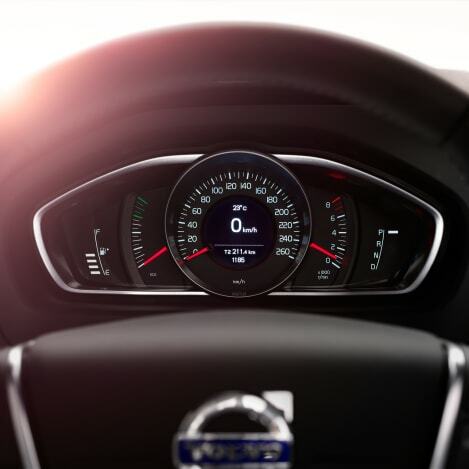 Retaining great looks and a sumptuous interior, the V40 Cross Country features a high end audio system with Sensus Connect Technology including voice controls for navigation, music and help to park.